My 13 year old son Evan was a bit dismayed to discover that he would be taking PLTW (Project Lead the Way) Engineering as an elective this Fall at his middle school. He really wanted to take Media/Communications as his elective, and he got it, but his first choice is an “A” period class. He thus was assigned to a 2nd elective, PLTW Engineering. Evan is fairly intelligent and performs well at school, but he would rather focus his mental efforts on sports and music than on other subjects that may tax his brain a bit more. I, on the other hand, am excited that he has the opportunity to discover the various disciplines of engineering at such an early age, without worrying about his grade. I encouraged him to have an open mind, that he may find it fulfilling to learn how things are made and how they work. I sure wish I had the opportunity to learn about engineering back in 8th grade. I see some threads that can spool from playtime with Discovery Toys products! 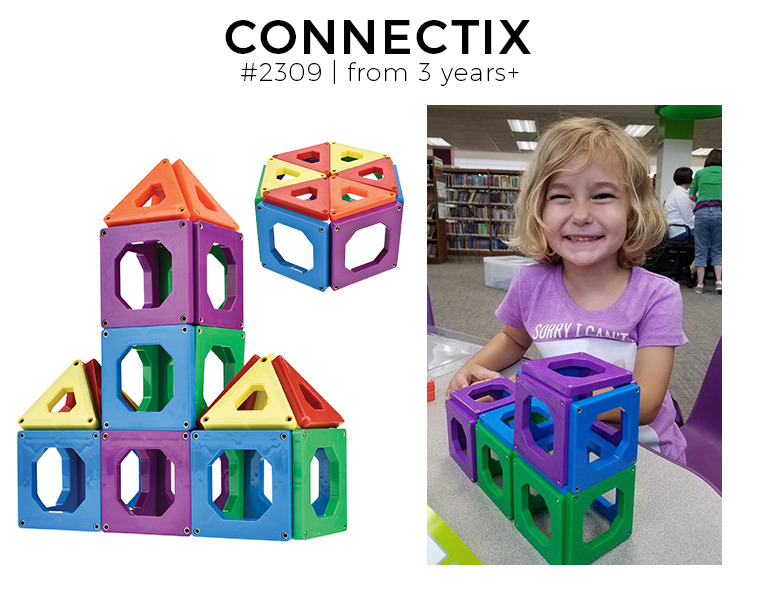 Many of our Construction Play products in particular inspire young minds to use their imagination to dream up original designs and their logical reasoning to convert these designs to actual functioning objects. My son Evan grew up playing with Marbleworks, Motor Works and Zip Track. 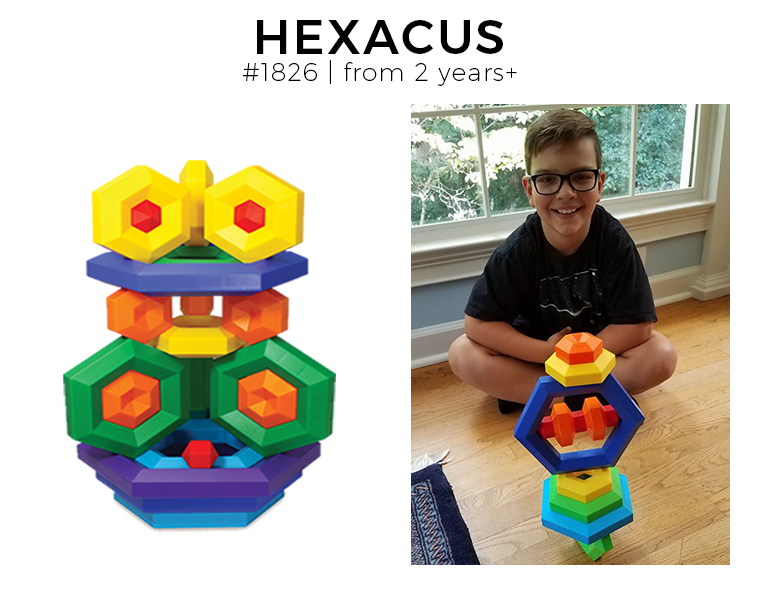 But perhaps if he had the opportunity to explore with even more construction sets, particularly ones that are more free-form and open-ended, he would be looking forward to 9 months of PLTW Engineering. 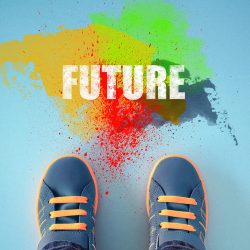 I think most of us would agree that the future of our world largely depends on a new generation of engineers who can think outside the box, who can dream up solutions to problems that seem insurmountable, and who can collaborate with folks from different cultures. With so many distractions in our society, we would be wise to immerse our children in building play at a young age, to instill in them a passion for the skills and challenges that can lead to at the least an understanding of basic engineering principles and hopefully a career in the field for many. And this play should be free-form and open-ended at the younger ages, with more specific build-outs for the more experienced young builders. 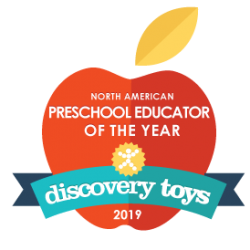 Our latest Discovery Toys 2018-2019 catalog offers a treasure chest of construction play toys with a wide variety of materials and methods of connection to kickstart young minds on the path to PLTW Engineering. 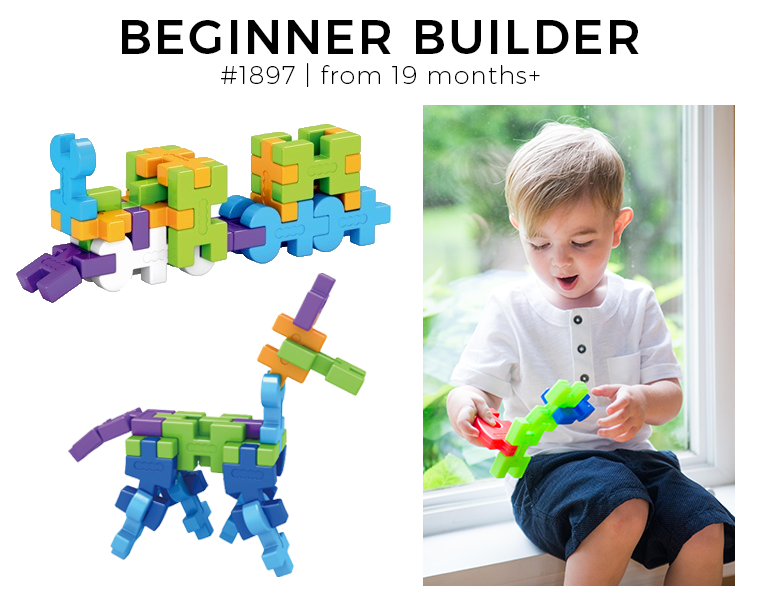 Children as young as 19 months can explore simple, large 2-D and 3-D designs with the open-ended Beginner Builder set. The 40 light-weight blocks in 9 fun shapes are easy for small hands to connect. In fact, there is no “wrong” way to connect them, nurturing early success for young imaginations. 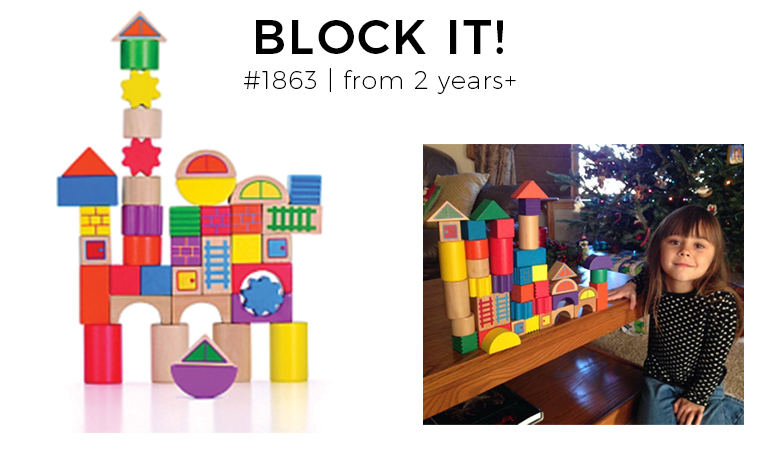 Toddlers and preschoolers can hone their fine motor skills and stretch their visual imaginations further with Block It!, our set of 40 oversized wood blocks. The variety of shapes helps develop a sense of balance, congruency, weight, and structural support. Hexacus teaches the versatility in design that can be achieved with a single shape in different sizes. Little builders are challenged to take stacking and balancing to a whole new level with these easy to hold pieces. Our open-ended magnetic Connectix features yet another assembly technique for budding Engineers to wrap their head (and hands) around. The 30 squares and triangles are easy to connect, but with a stability challenge. 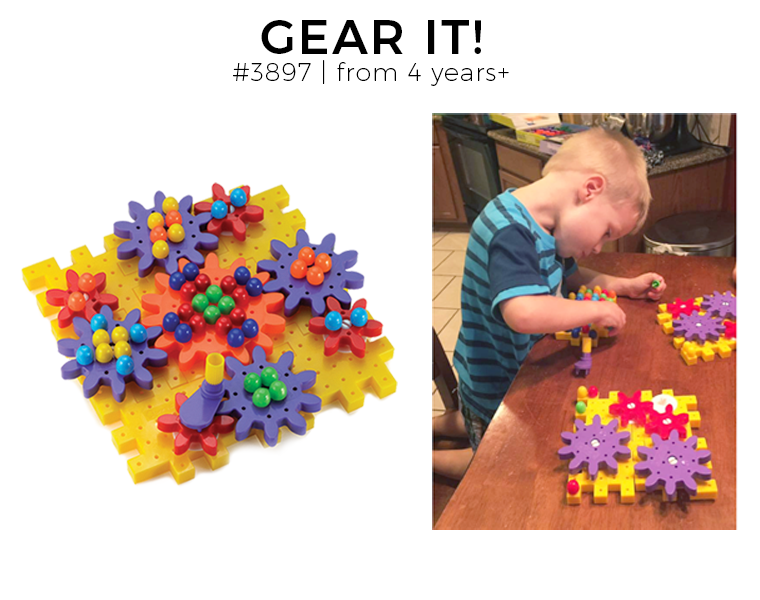 Explore motion and cause-and-effect with our open-ended Gear It! set. The spinning gears lay the foundation for an understanding of basic mechanisms. 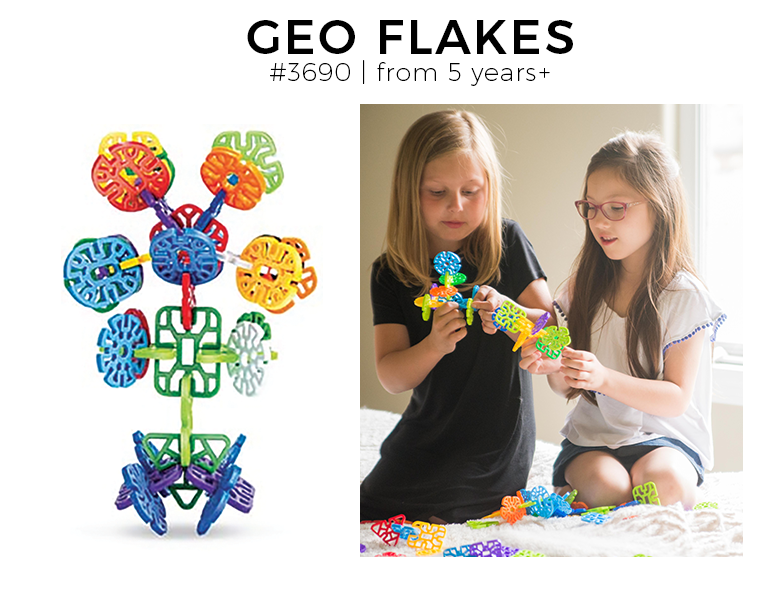 Children with more advanced fine motor skills can spark their creativity with the open-ended Geo Flakes. This artsy set includes 98 snowflake shapes that easily slot together to form just about anything your imagination can dream up. 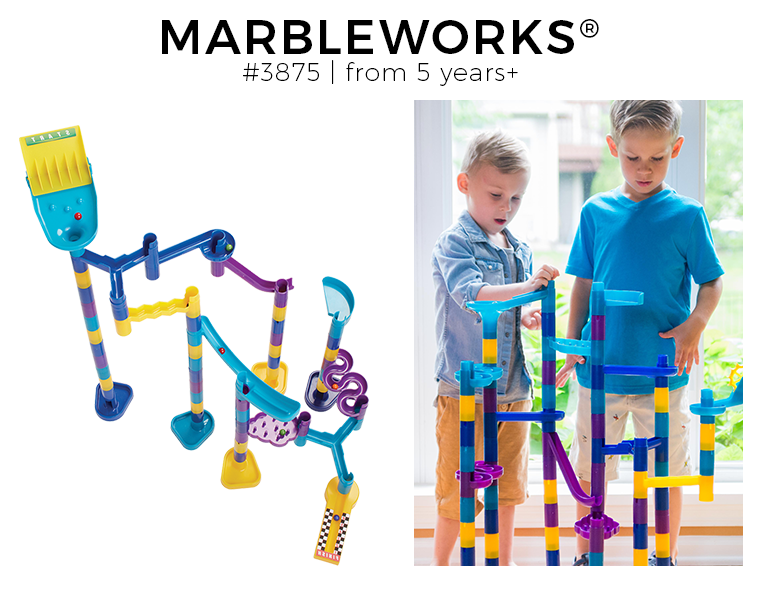 Older kids seeking more challenge can design their own marble raceway with Marbleworks Grand Prix. The different track pieces feature 8 different marble actions, requiring visualization, prediction and experimentation to build a functioning configuration. 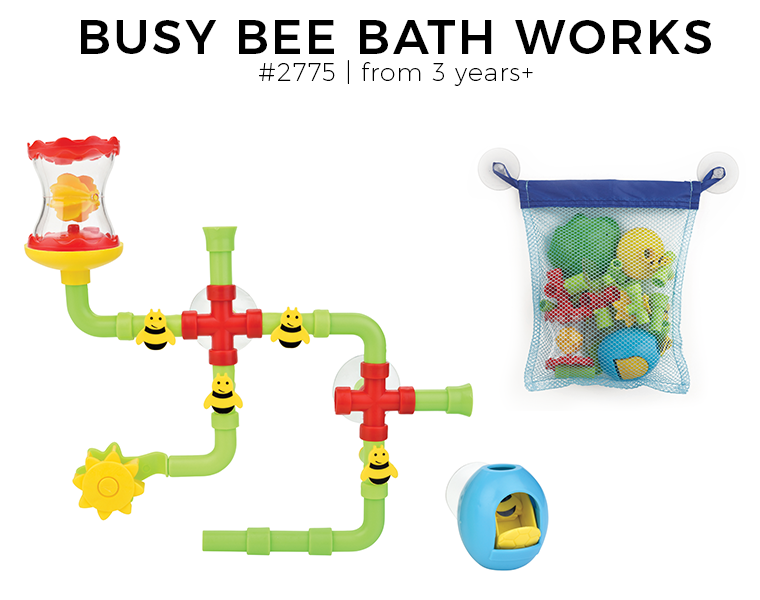 Prospective water engineers can get their feet wet with Busy Bee Bath Works, varying the pipe layout and turning the bee valves to redirect the water flow and add fun to tub time. 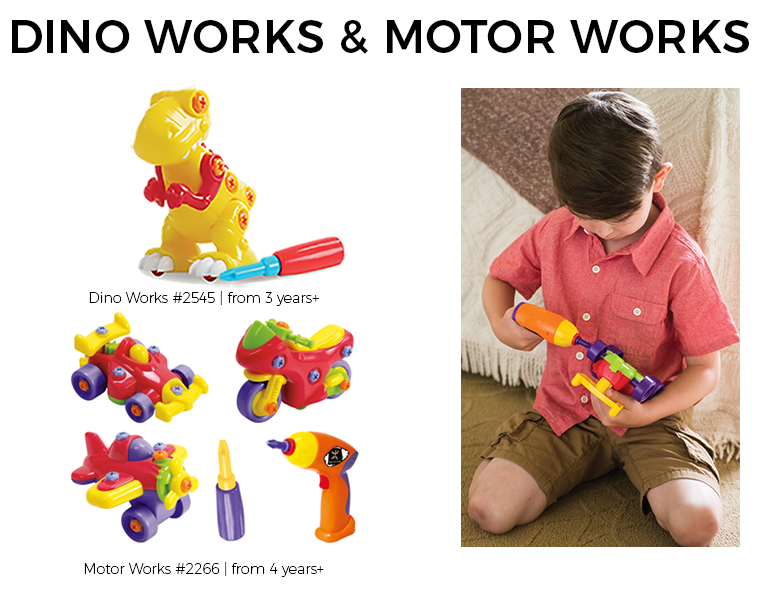 For play projects assembling specific build-outs with an adult-like tool, kids can choose from our Dino Works and Motor Works products. 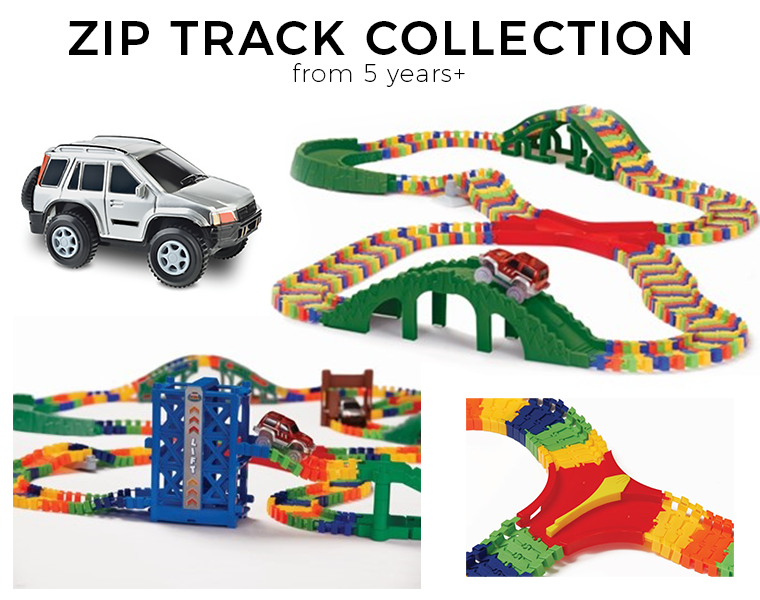 Prospective road engineers can take a spin with our new Zip Track collection, featuring a snap & click design, yet another method of connecting. Vary the roadway and add vehicles to gauge the impact on traffic. Those desiring a good building challenge (including us adult constructors) can take a crack at the new Robo Racer, with 47 click & snap components. 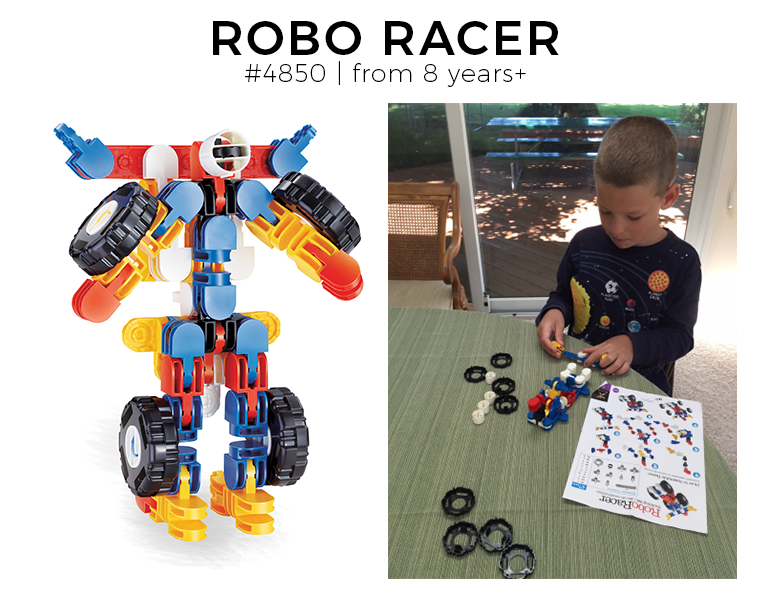 If assembled correctly, a few twists and turns transforms the racer into a futuristic robot. WOW! 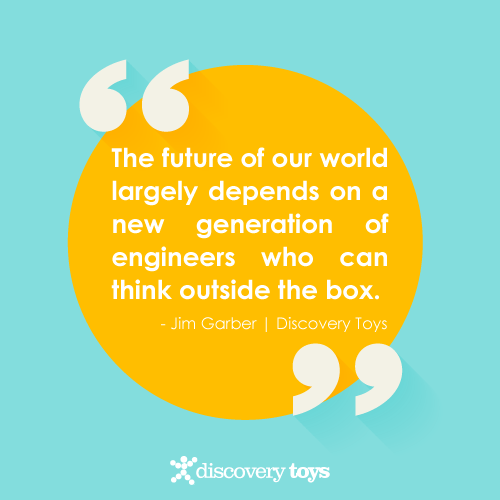 I didn’t even realize how many opportunities we have to inspire and develop the engineers of tomorrow. And how many different types of assembly techniques can be explored. 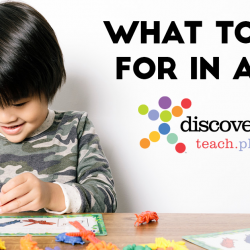 So Build & Grow with Discovery Toys!